Birds of prey are often confused with each other simply because of their capacity to hunt and their similar appearances. Among these, the falcon and hawk are often mistaken for each other. 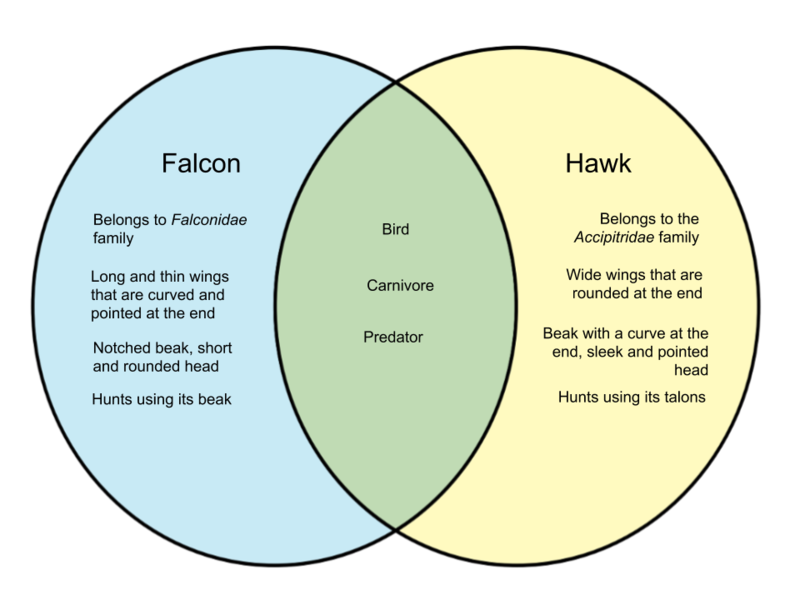 In this article, we will differentiate the falcon and hawk. The falcon is a bird of prey under the genus Falco. They can be found in all of the continents of the world save for Antarctica. The falcon is the largest genus in its subfamily Falconidae – its size ranges from the 25 cm Seychelles kestrel to the 65 cm gyrfalcon. Falcons can be identified from a distance based on their wing shaped – they possess thin, tapered wings that are curved and pointed at the end to allow them greater ease in turning, diving, and ascending. Another distinguishing feature of a falcon is its head which is short and rounded. Falcons also tend to flap their wings faster and glide shorter. Falcons focus on speed rather than precision. (The peregrine falcon is the fastest moving bird) Falcons have notched beaks – they use them to stab prey and grab them. The hawk is a bird of prey belonging under the Accipitridae family. Because of the wide variety of hawks, they also tend to differ in size. However, most hawks are typically larger than falcons. Their wings are also wider than falcons, possessing rounded ends. These wings allow them to glide longer and reduce the need to flap rapidly. Hawks focus on precision rather than speed. Most hawks have sleek, pointed heads. 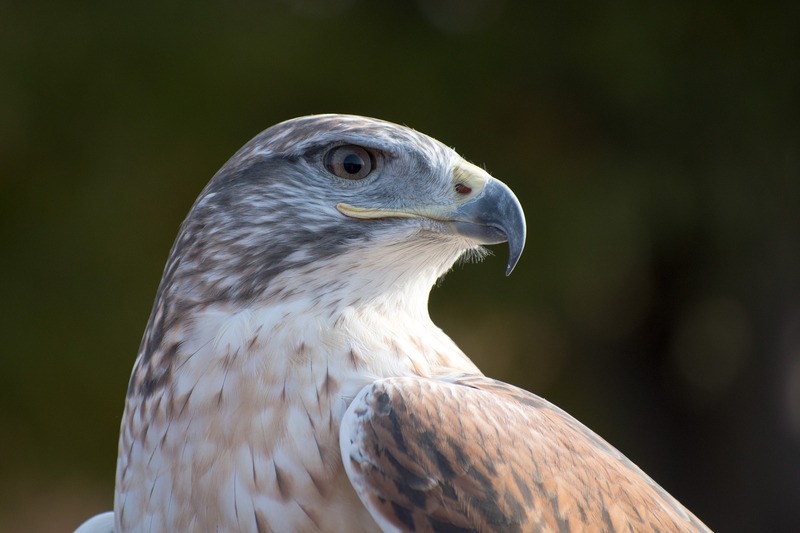 Their beaks possess a slight curve, but hawks tend to kill their prey using their talons.